Our Labora workshops are made to keep traditional arts and crafts alive, and to develop them for contemporary needs. Working with our hands is what unites us – letterpress printing, papermaking, calligraphy, woodwork, bookbinding, design and illustrations. When these arts and crafts meet, they offer a seemingly endless number of possibilities. One of our favourites is creating books from scratch. This book about the Skite Monastery in Norway is illustrated by Anatoli. It shows the various buildings of the monastery and describes what goes on in them. 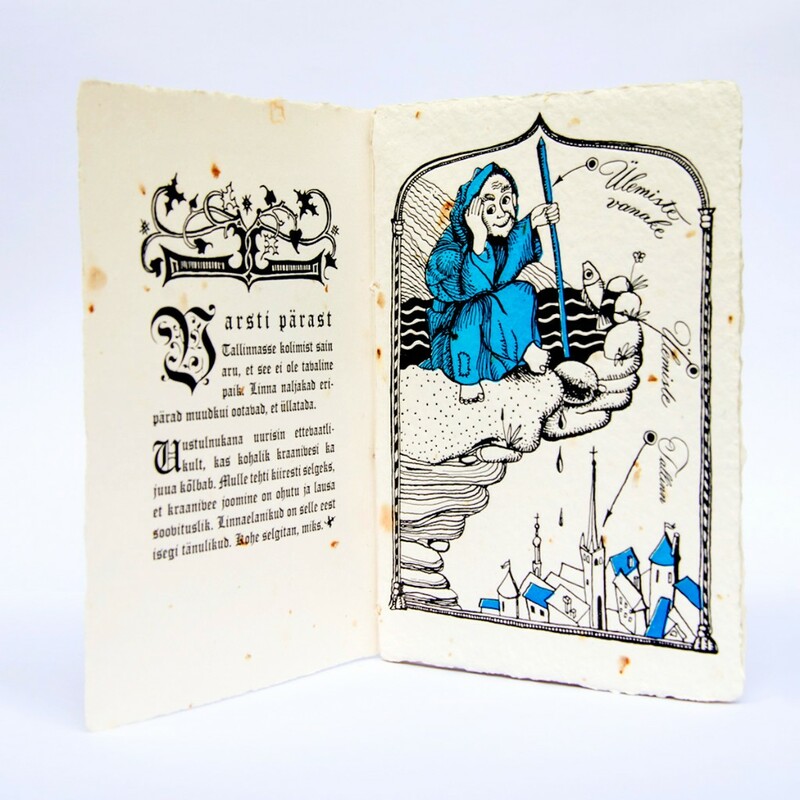 It is letterpress printed on handmade paper by Tallinna Paber and was given as a gift to the monks from Skite Monastery. The following book came in one unique copy. 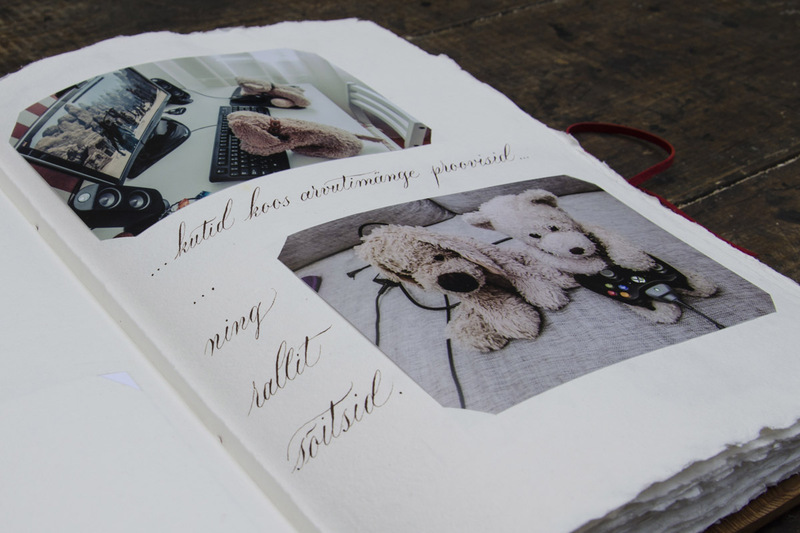 Kaarel showed up in our Labora workshops one day, asking for a special gift for his girlfriend – a handmade book telling the story of two teddy bears. He came with a stack of photos and texts, and entrusted us with the rest. Tamara used cotton and abaka to create handmade paper in a warm white shade that will last for decades. 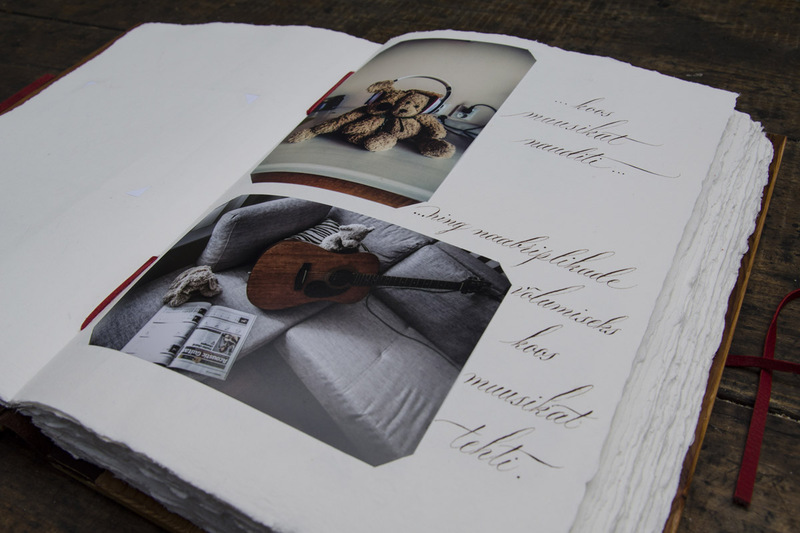 Once the paper dried, Tatiana layed out the photos onto the pages and wrote the calligraphy to tell the story. 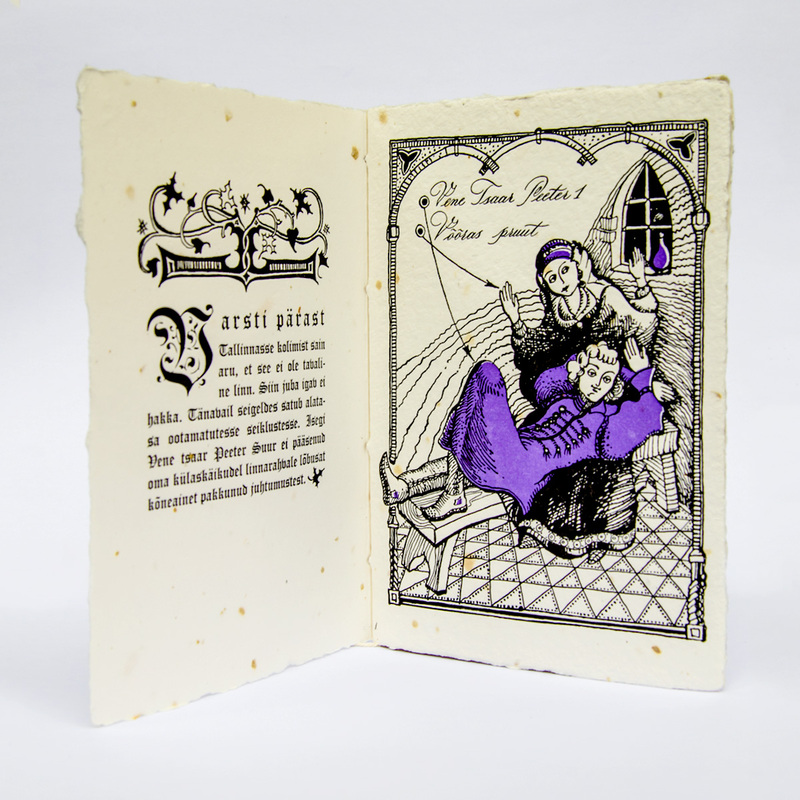 While Marianne bound the sheets together using red thread, Anatoli carved the wooden book covers. 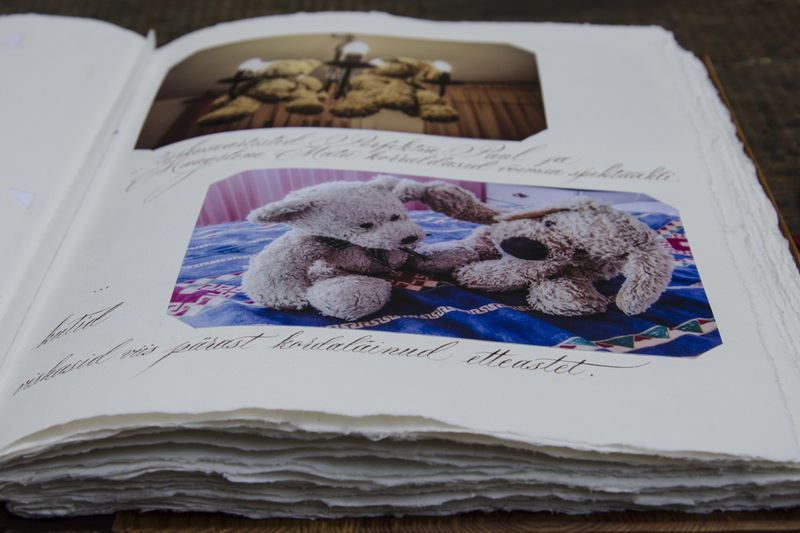 Tatiana painted the teddy bear illustration for the cover and once in place, the book was ready to be handed on. I have to say that the book did not turn out quite as I was expecting. It turned out a lot better than I had ever hoped for! The birthday girl was very happy about the book and I can thus say that the project was extremely successful! I am very grateful for your cooperation and for the way you really dedicated yourself to this project with all your soul. […] Tatiana’s work is fantastic. In the end the cover illustration made by her became my favourite picture of the whole book. […] Her work in designing and organizing the texts is equally superb and I am especially impressed by how she highlighted the text in cursive with red ink. 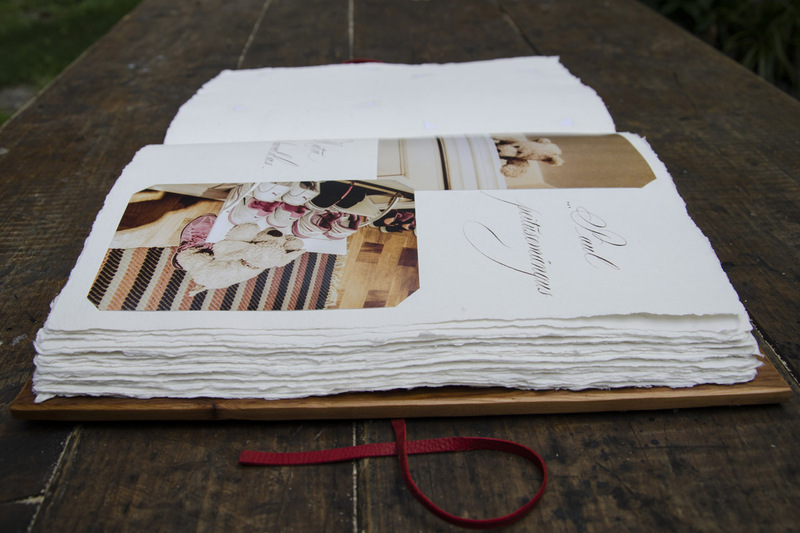 The book covers made by Anatoli are also more beautiful than I expected and Marianne did her part in placing the photos and binding the book phenomenally. The books we make are usually done on special order. We did however publish two Tallinn legends independently. 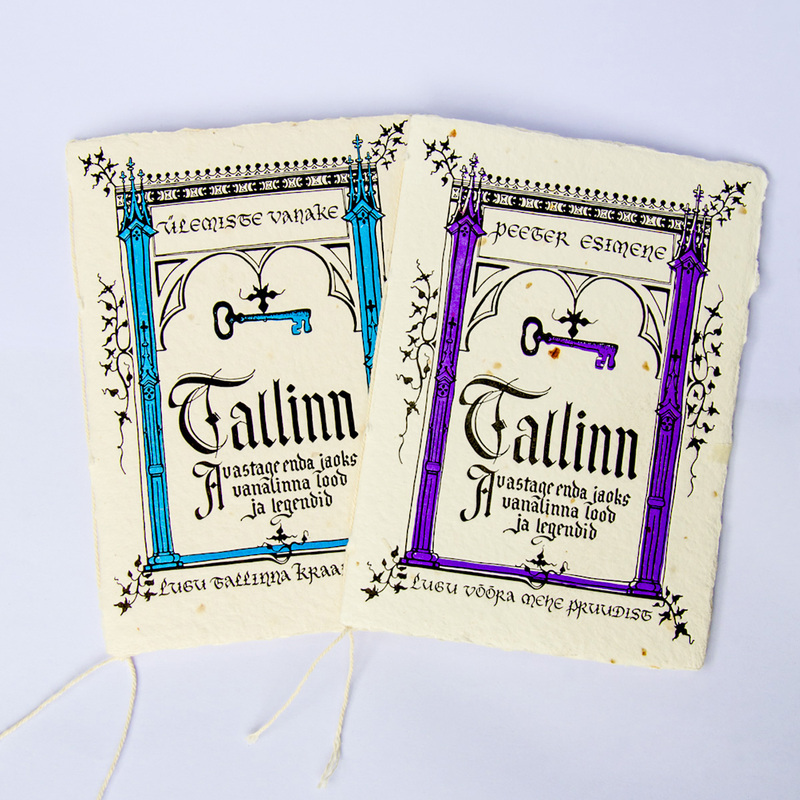 Letterpress printed on handmade paper, they tell the legends of the Old Man from Ülemiste Lake and of Peter the Great’s visit to Tallinn. 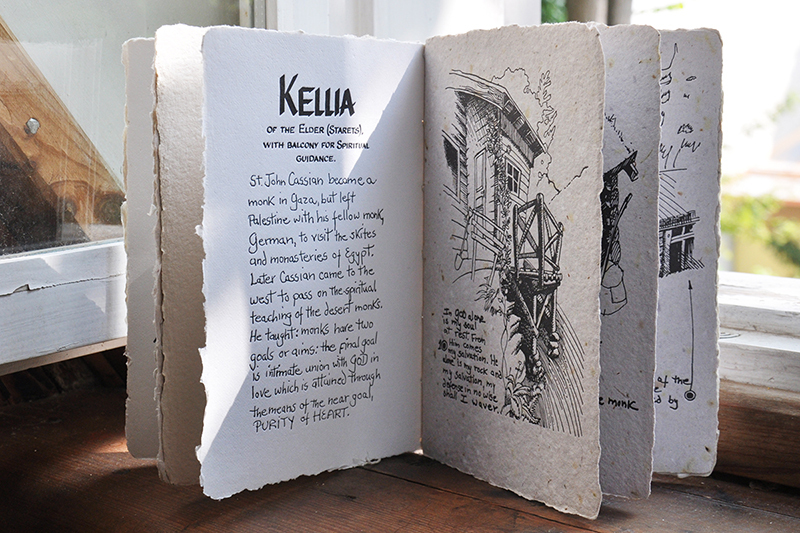 The back cover reveals the teamwork behind the publication. The legends are retold by Eve, illustrated by Anatoli, the calligraphy is done by Tatiana, edited by Veronika and printed by Tallinna Paber.